In a major surprise to the Indian economy the Index of Industrial Production (IIP) has bounced back in the month of November and beating the general expectation of 2-3% stood at 5.9% after showing a sharp plunge in the previous month of (-) 5.1%. The development that soothed the sentiment most is the bounce back in manufacturing sector that grew at 6.6% in November, 2011 against de-growth of 6% in the corresponding month in 2010. Consumer durables and consumer non-durables too showed remarkable improvement, while the Capital Goods and Mining index remained the laggards. Mining output shrank 4.4% and capital goods output shrank 4.6% from a year earlier. Meanwhile, the October output figure had been revised to minus 4.1%. 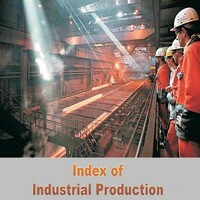 As per the quick estimates of Central Statistics Office of the Ministry of Statistics and Programme Implementation, the General Index of Industrial Production (IIP) for the month of November 2011 stands at 167.4, which is 5.9% higher as compared to the level in the month of November 2010. The cumulative growth for the period April-November 2011-12 stands at 3.8% over the corresponding period of the previous year.